Internet privacy. Anonymity was one of the greatest features of the Internet in its youth (or one of its worst features, depending on who you ask). Leaving aside the sorts of problems that spring forth from anonymous interaction, such as the lack of consequences, Internet privacy and anonymity is important for preventing some serious crimes, like identity theft. And so when topics related to Internet privacy pop up, you’ll often hear of “private browsing” and “proxy servers” and such. But honestly, the Internet is never truly anonymous. For the most part, your activities can be traced back to you; the only difference is how difficult it is to trace your actions back to you. That’s where “onion routing” comes in. One way to understand onion routing is to start with the concept of proxy servers. A proxy server is a server that relays your connection through that server, which basically adds a step in the path of your data packets. If someone traced your IP address, they’d see it as the proxy server’s IP address instead of your home address. But proxy servers aren’t exactly anonymous. They keep logs of all the traffic that passes through, which means that they can actually point back to you if necessary. For most activities, the proxy server is fine even though it’ll add a bit of latency to your connection. Your anonymity would not be entirely protected, however, if your proxy service was hit with a subpoena for your IP information. Onion routing is like an advanced form of proxy routing. Instead of routing through a single unprotected server, it uses a network of nodes that constantly encrypt your data packets at every step. Only at the end of this “chain” of onion nodes does your data become decrypted and sent to the final destination. In fact, only this “exit node” has the power to decrypt your message, so no other node can even see what you’re sending. 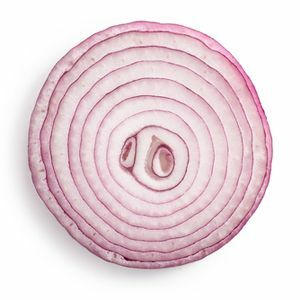 Due to the multiple layers of encryption, which not-so-coincidentally resemble the layers within an onion, it’s extremely difficult to trace your information back to you as the source when you use onion routing. Have you ever heard of Tor? It’s a secure network that uses onion routing to keep all of your activity as encrypted and hidden as possible. Did you know that Tor actually stands for “the onion router”? If that name sounded weird to you before, now you know why it’s called what it is. Anyway, here’s an example using Tor to help you visualize the process of onion routing a little better. This abstract example that takes you on the journey of a data packet through Tor’s onion routing. Your computer has an onion routing client installed, which in this case is Tor. This client encrypts all data packets sent from your computer (Alice). Your computer sends a data packet to Node A.
Node A encrypts your already-encrypted data packet and sends it to Node B.
Node Z decrypts all of the layers of encryption on your data packet and finally sends it off to the destination (Bob). Destination thinks your data packet originated from Node Z, not you. When data is sent back to you, the chain is reversed with Node Z becoming the first node and your computer being the exit node. As you can see, the multiple layers of encryption make it really hard to break into your data packets. It’s like a vault within a vault within a vault – even if you break into one, you still have to break into all of the rest. One way to utilize an onion routing network is to set up your website within the network to keep it secret from prying eyes. For example, you can do this on Tor to make it so only Tor network users can view and access your site. Some people might use this opportunity for dark and nefarious purposes, but there are also legitimate reasons for hiding your site on an encrypted network. If you’re interested, check out Chris’s tutorial on setting up an anonymous Tor site. But for the most part, Tor is used to maintain your anonymity on the regular Internet that everyone else uses. Don’t want huge corporations like Amazon, Google, and Microsoft to know everything about your browsing habits? Then set up a Tor client and start hiding your activity now. As far as I know, it’s the safest and most effective way to stay hooked up to the Internet while eliminating many privacy issues. The takeaway? Just get it into your head that the Internet is not the anonymous free-for-all that it once had the reputation of being. Thanks to advancements in technology and logging methods, most actions can be traced back to the proper agent. 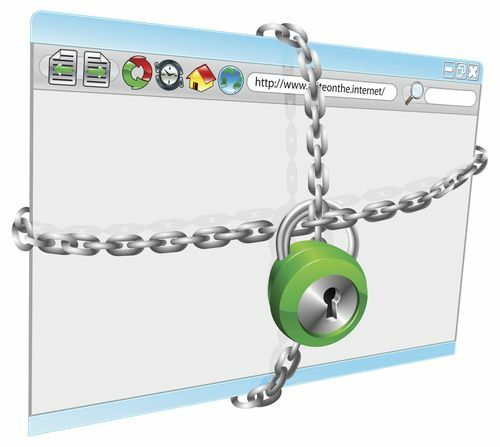 Not to say that onion routing is foolproof, because all forms of security can be cracked, but the amount of effort needed to crack onion routing is enough to say that it’s an effective anonymizer. 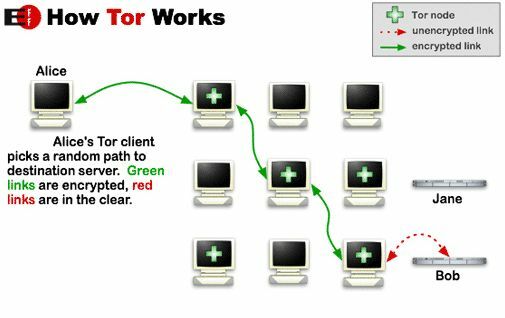 If you’re a big privacy freak, you should look into the Tor network.